LONDON -- Jaguar Land Rover is targeting managerial roles rather than production-line workers as it cuts 10 percent of its workforce in a bid to return to profitability. JLR, based in central England, will cut some 4,500 out of 42,500 workforce, following a slowdown in China and a slump in demand for its diesel-powered vehicles. The automaker also said it will begin producing electric drive units at its Wolverhampton engine plant in England and will create a new battery assembly center at Hams Hall near Birmingham as it develops a greener range of cars. "We are taking decisive action to help deliver long-term growth in the face of multiple geopolitical and regulatory disruptions as well as technology challenges facing the automotive industry," said CEO Ralf Speth in a statement. on Thursday. The job cuts will affect mostly workers in the UK, including contractors, senior management, supervisors, engineering, and design workers, according to people familiar with the matter who asked not to be named discussing details that weren’t announced. Production-line workers won’t be affected, they said. JLR employs about 40,000 people in Britain. The 4,500 job cuts are in addition to 1,500 people who left the automaker in 2018, JLR said. JLR lost 354 million pounds ($452 million) between April and September. It had been on course to build around 1 million vehicles by the turn of the decade. The company reported on Thursday a 4.6 percent drop in full-year 2018 sales to just under 600,000 vehicles. The company, owned by India’s Tata Group, announced last year a turnaround plan that calls for savings of 2.5 billion pounds in 18 months. Of that total, 1 billion pounds will come from cutting 500 million pounds each from its investment plans for the 2019 and 2020 financial years, the company has said. “China has driven the sharp deterioration in profits. It’s the single biggest challenge,” JLR's finance chief, Ken Gregor, told analysts on a financial results call in November. Gregor said that the firm's Changshu plant in China "has basically been closed for most of October in order to allow the inventory of both our vehicles and dealer inventory to start to reduce." Diesel accounts for 90 percent of the automaker’s British sales and 45 percent of global demand, the company said last year. Diesel demand has plunged following new levies in the wake of the Volkswagen Group emissions-cheating scandal. JLR has warned of further losses in the event of the UK leaving the EU with a poor trade deal or no deal. The company builds a higher proportion of its cars in Britain than any other major or medium-sized automaker and has spent millions of pounds preparing for Brexit, in case there are tariffs or customs checks between the UK and Europe. The company has boosted its workforce at new plants in China and Slovakia in recent years. Its new Slovakian factory has a capacity of 150,000. In June, JLR said it would move production of the Land Rover Discovery to Slovakia from Birmingham, England, to make room for future electric cars. The company has said that move will cost 1,200 jobs. JLR will build the new-generation Land Rover Defender in Slovakia, analysts predict. 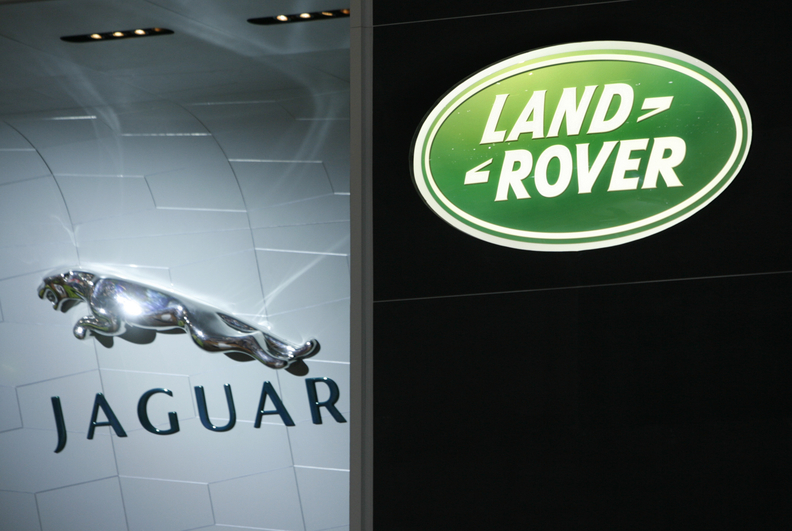 JLR had been a big earner for Tata Motors since it bought the automaker from Ford in 2008. The company has posted profits in excess of one billion pounds for each financial year since 2011 as sales rose from 241,000 in the same year to 614,000 in the 2018 financial year.